A couple of simple tools to help the Indie author. Night and Day by Caron Allan. I created this ebook cover in Canva, using a gorgeous image from Pixabay and slightly changing the colour. The wonderful font is a Canva one and is called Text Me One. I love it! 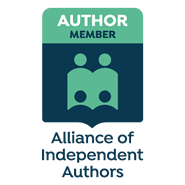 If like me you’re an Indie author with a low or non-existent budget, you will always be on the look-out for something to help you save time, money or boost sales. Ideally all three. My two favourite new (to me) sites for 2016 were these: Readers Gazette and Canva. Readers Gazette is a promo thing, they tweet your books to approximately 100,000 followers. You have to sign up and obviously in order for them to tweet your book to their followers, you need to spend some time entering the information about yourself and your books on their site. But get all the information together before you start and it shouldn’t be too much of a pain. Their site isn’t a total breeze, and I admit I got a bit lost once or twice, but with trial and error, I got all my books onto their site. When you sign up for free, they tell you it will take 30 days to get the promos up and running, or you can pay them the teeny fee of $5 – yes, that’s what I said, $5 – and they will start within a day or two. I find that even after being with them for at least six months, they still tweet my books two or three times a week, and they ring the changes so it’s not always the same book that goes out. I don’t have any exact figures but I am convinced the result is improved visibility for me and my books, and therefore, improved sales. And obviously, if you retweet their promo of your book, it gets seen by even more people. The great thing about retweeting, is you can add a little quote or snippet or special offer to the tweet to really catch the eye of anyone who sees it. Canva is also free – woohoo – and it is the most wonderful site to build ebook covers, create social media headers, social media posts and even promotional materials such as bookmarks and thank you post cards – and so much more if you are looking beyond simply offering writers’ tools. You can create from scratch, or near scratch or if like me you’re a bit technically challenged, they have tons of wonderful templates to choose from, with stunning backgrounds and a huge range of fonts. Some of the images do have a charge attached, but these charges are pretty small. However they have oodles of free images, and you can also upload your own. Then, when you have created your fab new whatever, you can download it in several different formats, for example, jpeg or pdf, and use as you wish. Another thing I love about Canva is that they often have little how-to tutorials, so if you want to improve the look of your website, Facebook page or Twitter page, then this is the place to go. Taking the idea from the way Readers Gazette (and others) Tweet my books, I used Canva to create this promotional graphic which is actually a Facebook Header – simple style, quick and easy to do, but eye-catching. This week someone contacted me just to tell me how much he liked these graphics. I so wish I’d heard about both these sites before 2016! Thank you, these are really useful tips! they’ve been a huge help for me! If you decide to try these and get stuck, message me! I’d be only too happy to help if I can.